I live on the coast of Virginia and we rarely see snow. Maybe the occasional flurry or light dusting, gone by the next day. But this year, good god, the weather is insane. 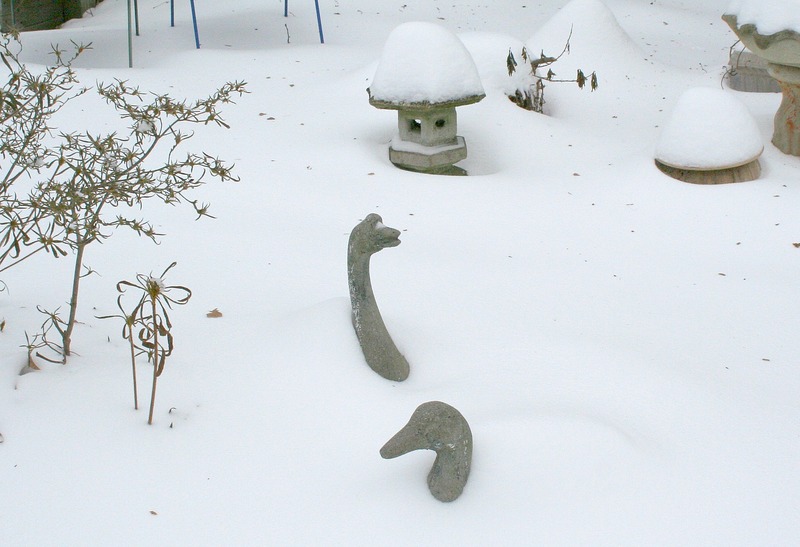 It snowed last week and there was still piles of snow hanging out because the temperature has been ridiculously cold. Then last night this crap fell. It's like 8 inches. I realize that is a joke to some people that live up north, but here it's a freakin' blizzard. 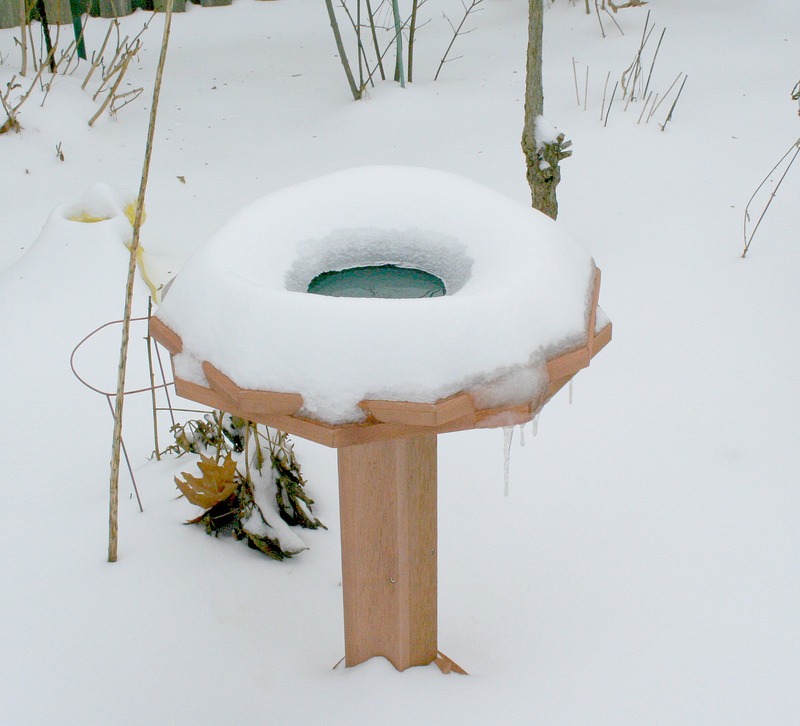 My BFF Beth has been bragging for some time now about her heated bird bath. She has been encouraging me to get one so I did. I already have the most spoiled wild birds in Hampton since I have two pole systems with 8 types of feeders. 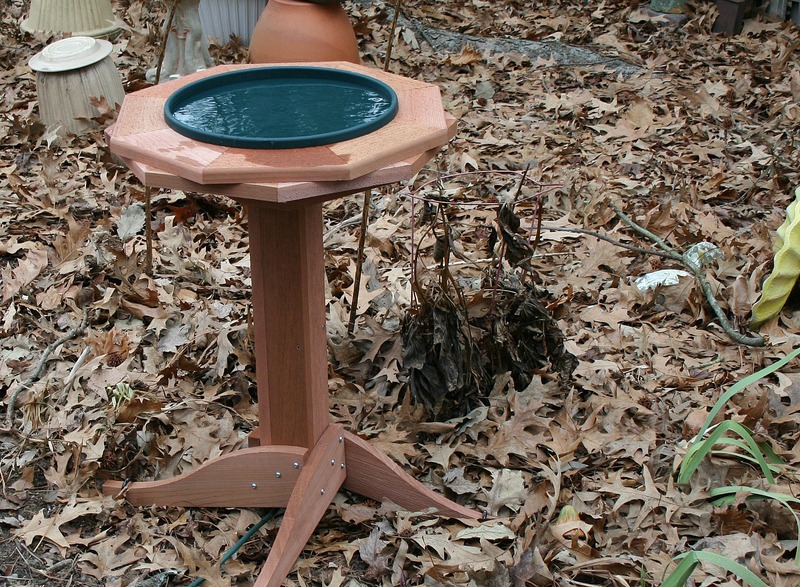 I picked out a lovely cedar heated birdbath. I installed it in the garden yesterday. Here is it today. Blleeckkk. I am in Smithfield VA and I have been wishing for snow for several years so you can curse me for all of that. But I wanted it to fall during the day so I could sit and watch it and daydream. Sorry about that.